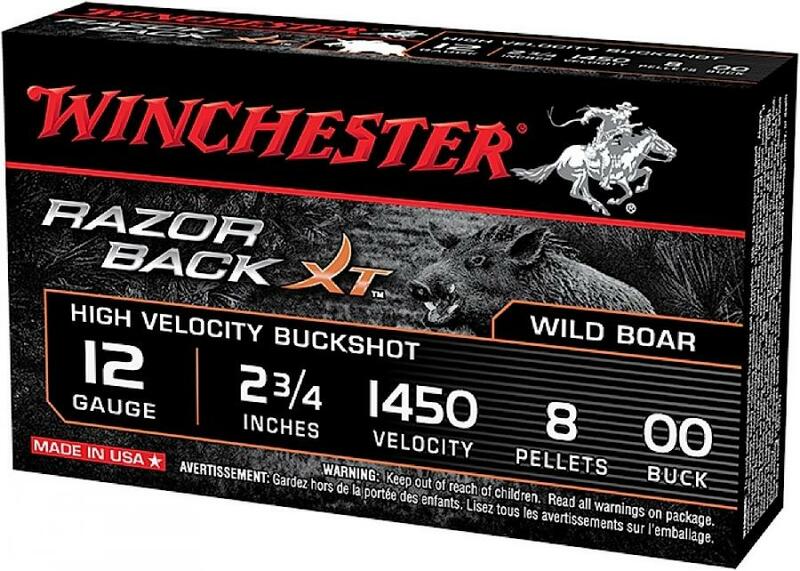 Razorback XT is designed specifically for the rugged demands of boar hunting. This 2.75" 12 gauge shotshell lead-free with a a nickel-plated shellcase. It comes as a plated buffered buckshot or a wad-stabilized, segmenting rifled slug for massive trauma. 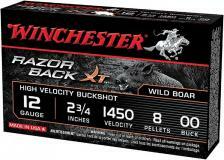 12 Gauge, Nickel-plated Lead, 2.75"